The Student Technological Entrepreneurship Forum will be held on 14-16 November at Tomsk Polytechnic University. It will bring together all stakeholders interested in the development of this direction, i.e. experts from universities, corporations, and representatives of venture foundations, and authorities. More information and registration of participants are available at the forum website. 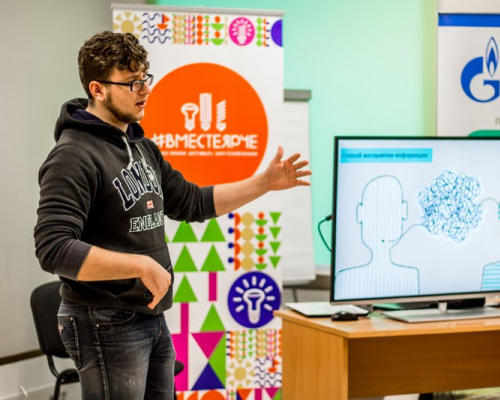 According to the Director of TPU School of Engineering Entrepreneurship Stepan Khachin, the topic of student entrepreneurship is critically important these days. Stepan Khachin said: ‘Many universities, including ours, put the trajectory of the student entrepreneurship development on a par with educational programs and student science. The forum is not accidentally held at TPU. Since 2010, the University has been implementing and annually aligning with current needs a system for involving students in this field through activities of the Test Ground of Engineering Entrepreneurship. The main goal of the test ground is to facilitate students to implement their business ideas. The university experts help to test ideas, build a strategy of their introduction to the market, give recommendations team selection, provide feedback, networking, ideas and other resources from entrepreneurs and participants, and consult on funding. The system for involving in entrepreneurship is open for both students from TPU and other universities in Tomsk. According to organizers, the forum sets a number of challenging tasks. One of the priority tasks is to give a clear definition of what student technological entrepreneurship is because so far there is no unified understanding of this phenomenon. To this end, an expert community from a variety of structures will meet for three days. They are officials from the Ministry of Education and Science, Russian Venture Company, and Tomsk Oblast Administration. Another expert group includes the representatives of universities where student technological entrepreneurship is developed. The organizers conventionally call the third group as consumers representing employers and venture capital companies. Experts from China, Europe and the USA will also participate in the forum. ‘Employers are those enterprises where our graduates work, and it is important for us to know which non-professional qualities they would like to see in their young employees, whether the youth needs entrepreneurial skills and which ones. We also want to receive feedback from venture companies if they consider student ideas as potential startups. Thus, the three-day forum will include the elaboration of a definition to student technological entrepreneurship and the discussion of non-professional competencies important for employers and what is required to increase the number and the quality of student startups, and the exchange of the best practices,’ summarized Stepan Khachin.